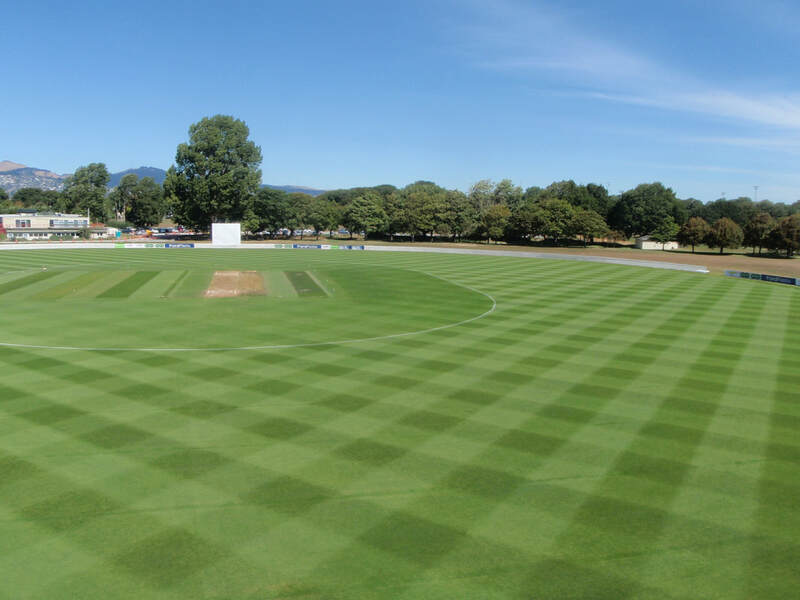 Hagley Park in Christchurch has just been named as the winner of the International Pitch of the Year Awards for the fourth time in five years. Congratulations to Rupert Bool, Manager of Hagley Park, and the team who maintain this great pitch, which was built from scratch by Mexted Performance Sports Surfaces in 2013/14. These pictures tell the story of the amazing journey that our Operations team, led by Steve Mexted and Chris Parkinson, went through to create the top class venue Hagley Park is today. 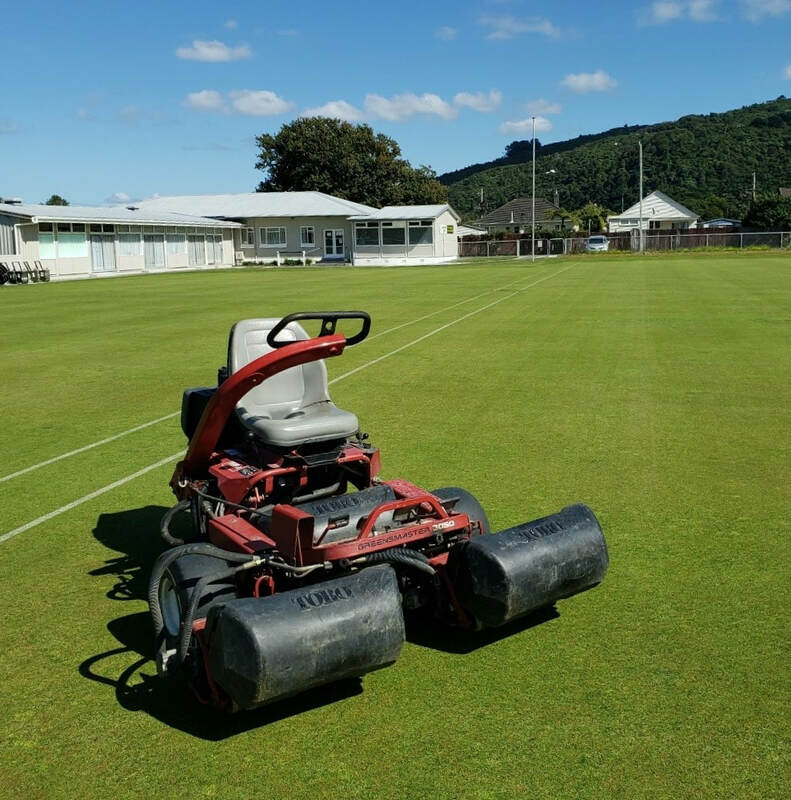 The Hutt Valley Waimarie Croquet Club held its top tournament of the season at the end of March on new courts built by Mexteds, with the winner declaring the courts the best in the Wellington region. Transforming a disused bowling club into the new croquet lawns, Mexteds installed a full primary drainage system and 2,500 metres of secondary sandslit drains. We also designed and installed a powerful irrigation system, laying the lines with a mole plow for convenience and speed. After spreading topsoil and achieving the finished grades we sowed a blend of brown top and chewing's fescue, and managed the grow-in over the last few months. Club chairman Kevin Fellows said "A very big thank you for all your work in creating fine croquet courts for the club. Your efforts over many months, along with the double mowings and closer cutting in the final week, combined to produce courts of excellent flatness, uniformity, and sufficient speed for high level tournament play. " 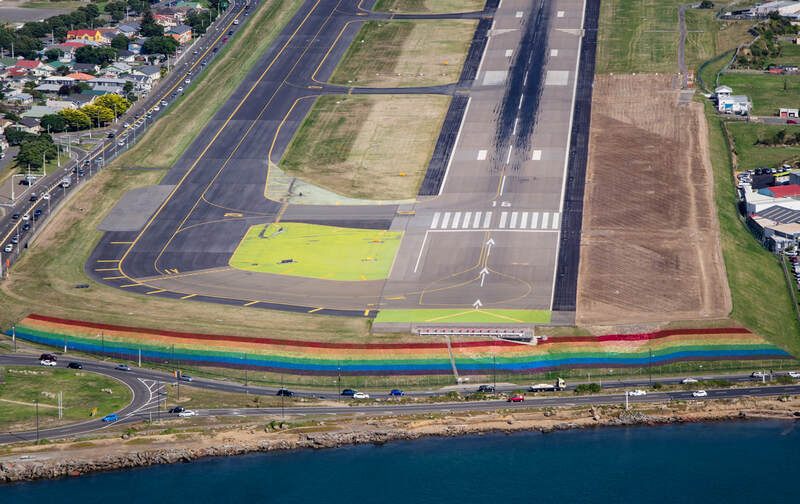 The Wellington Airport rainbow highlights Mexteds' work re-seeding 2.5 hectares of land next to the runway (right side of image). We've been sowing the area with special Avanex grass seed, which has bird-deterrent properties. The work was done at night when the airport was closed, as safety considerations are paramount. This marks the end of the airport Avanex project, which we've undertaken over five stages in recent years. 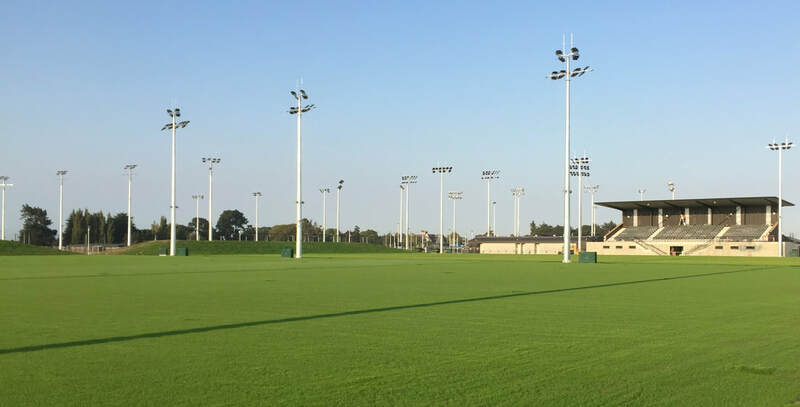 After weeks working in Christchurch, our 'away team' has successfully finished the build of two new Rugby League fields at the Nga Puna Wai sports hub. The grass is coming away well, and head contractor, HEB Construction, says the result is 'awesome' and 'better than expected', with the client, Christchurch City Council, really happy with the job. We'll be managing the grow-in for the next 12 weeks, and the first games could be played this season, following the handover in June. Game On! 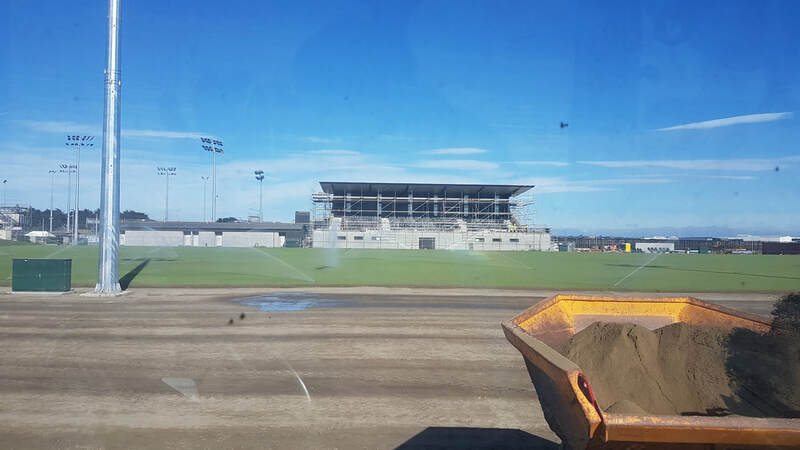 There's light at the end of the tunnel for our amazing team in Christchurch who have been building two top-end sand-carpet rugby league fields for Christchurch City Council at their fabulous new Nga Puna Wai sports hub. Since Christmas the Mexteds crew, led by Chris Parkinson, have installed 18,000 metres of secondary sandslit drains and the sand carpet. With the warm weather, the grass is already pushing through on the first field, and the second field in the foreground is being seeded today. It'll be a great asset for the city's Rugby League players and fans. Game On! 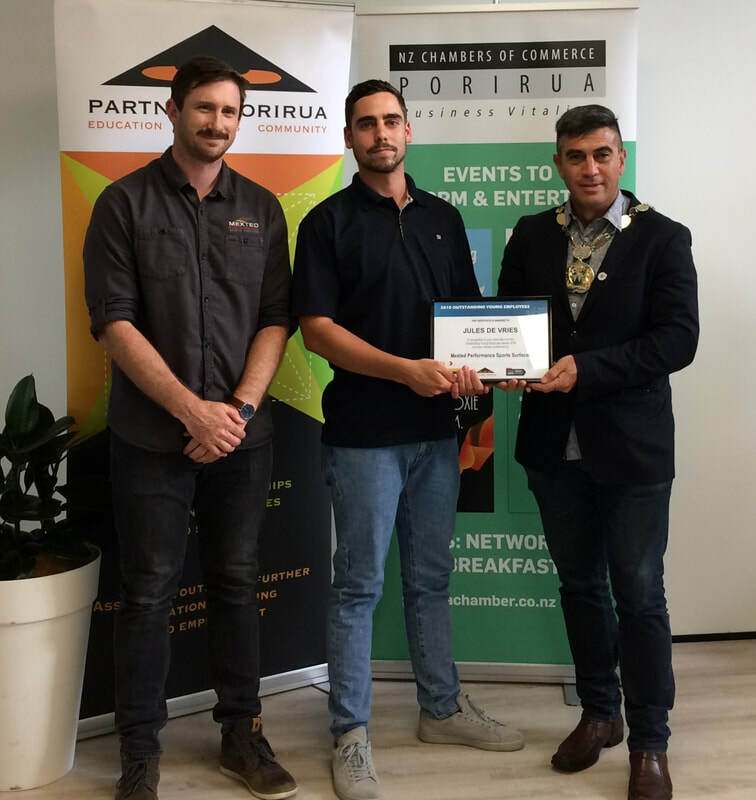 Mexteds' operations team member and artificial turf specialist, Jules de Vries, was one of the rising stars of the Porirua business community recognised at the 2018 Outstanding Young Employee Awards held at the Settlement in Porirua in November. We were proud to nominate Jules for his great work ethic and team approach. He's a skilled member of staff who takes initiative and engages well with our clients, who value good communication and advice to help them in their decision making. Jules has shown leadership running artificial projects and transferring his specialist knowledge to other operations staff. The 2018 Outstanding Young Employee Awards highlighted the talent and ambition we have in our Porirua community, and Mexteds congratulations everyone who was nominated by their employers. 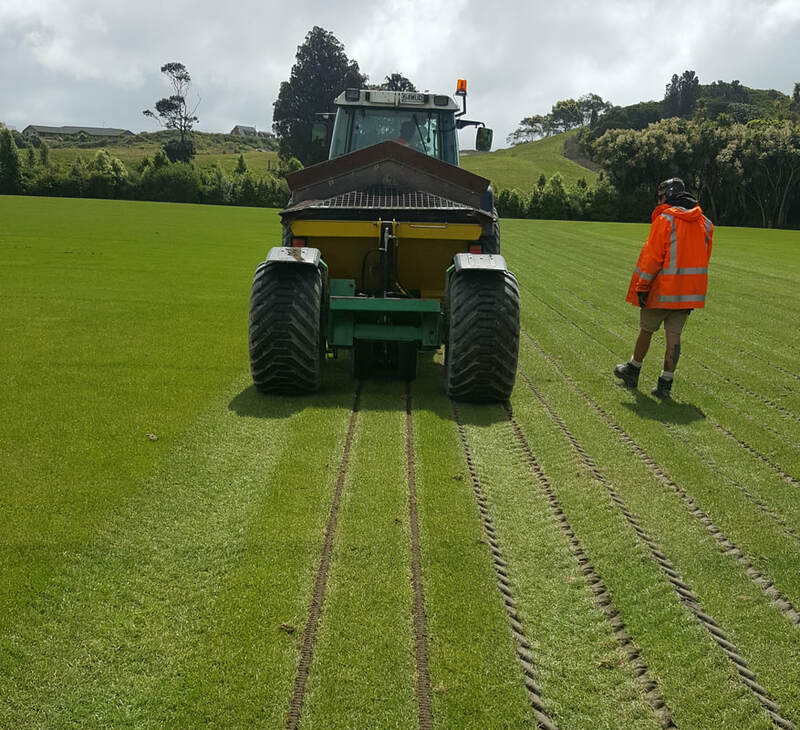 We've been gravel banding at Otaraua Park for Kapiti Coast District Council recently, following on from the installation of primary drains last summer. Gravel banding is a secondary drainage system that allows water to percolate down into the primary drains, vastly improving the field's drainage and performance. Over winter we upgraded our gravel bander, fitting a new axle and turf tyres, meaning less ground pressure and compaction on the field, especially when the hopper is full of backfilling material. ​Click here to view the gravel bander in action. Stratford Cricket Club's home ground, Victoria Park, had suffered from such poor drainage it had been dubbed ‘the Stratford swamp’ by the club's rivals, and last year’s first-round matches all had to be played away. The club appealed to the Stratford District Council and an agreement was reached to work together to fix the drainage problems. Mexteds was contracted to install a 160mm collector drain through the whole length of the field. This soon revealed the full extent of the drainage issue, as water poured into the trench from the saturated subsoils. 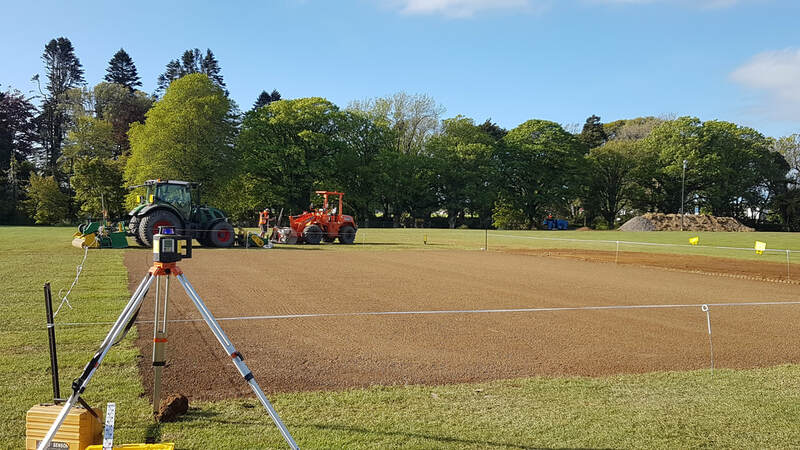 We then installed six 110mm lateral drains across the wicket block at five metre centres, before building a brand new wicket with 100mm of basecourse, 20mm of topcourse and then laid the Patumahoe clay. 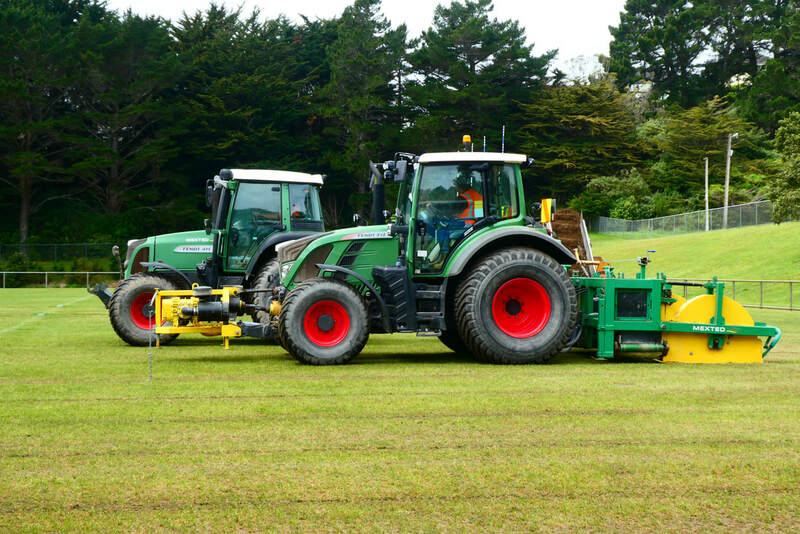 Porirua Park (Jerry Collins Stadium) is having a makeover, and the full Mexteds team have been working there with four tractors installing secondary drainage with our unique twin-wheel trencher. Secondary drainage is a great way of helping water percolate down from the soil surface into the primary drains to create a top class playing surface. We're now following up with sand topping and dimple seeding the trenchlines. Porirua City Council has been delighted with the job. 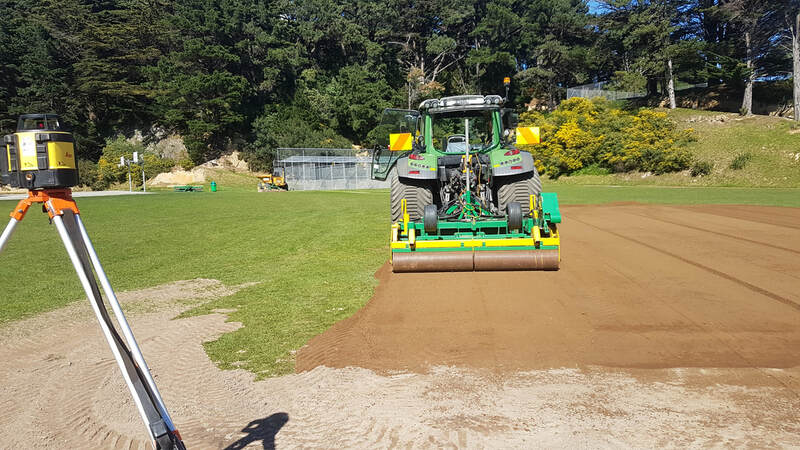 “It’s a brilliant surface we have here, with a good reputation, and we’re committed to keeping it that way,” says Porirua City Turf Manager, Glen Smith. Read more. Our wicket block guru and Operations Manager, Chris Parkinson, has had a good run of spring weather while building a new wicket for Wellington College's cricket club. The old wicket was dug out, a new base put in and compacted, wicket clay spread and levelled, before seeding and fertilising.